Beach life may be the biggest draw to Fiji, but it is also a country with a completely unique culture that stretches back decades. Here are our four favourite places to sample aspects of Fiji’s Culture. If you want to immerse yourself in the culture, then what better way could there be than to visit a traditional Fijian village? Step back in time and see how the indigenous people live almost identically to their ancestors. You can join tour groups at Port Denarau Marina, before catching a boat toward Moala Village or via car to Sabeto Village. Guides will instruct you to wear modest clothing and take off any headwear before meeting the Chief – the man who is responsible for every decision when it comes to the village. While the locals are relatively easy-going, you should ensure that you are respectful to the village leaders. You’ll have to present a customary gift of Kava (also known as ‘Yagona’), a national plant that’s pounded into powder and mixed with water to serve up as a popular drink. Chances are locals will also prompt you to drink it, so just enjoy the ritual and expect a numb tongue! On your tour around the village you will also indulge in the beautiful traditional Fijian music and the chance to buy various hand-made, decorative gifts from the locals. The trip may only last about two hours, but the short insight will add another dimension to your Fiji experience. Going to Fiji and not seeing fire walking is like going to going to Paris and not seeing the Eiffel Tower – it just goes without saying. Legend has it that over 500 years ago the men of Beqa Island were given the gift of being able to walk on fire by an eel in exchange for sparing its life. Today the descendants carry on the ancient tradition, abiding by the same strict rules of tabu as their ancestors. 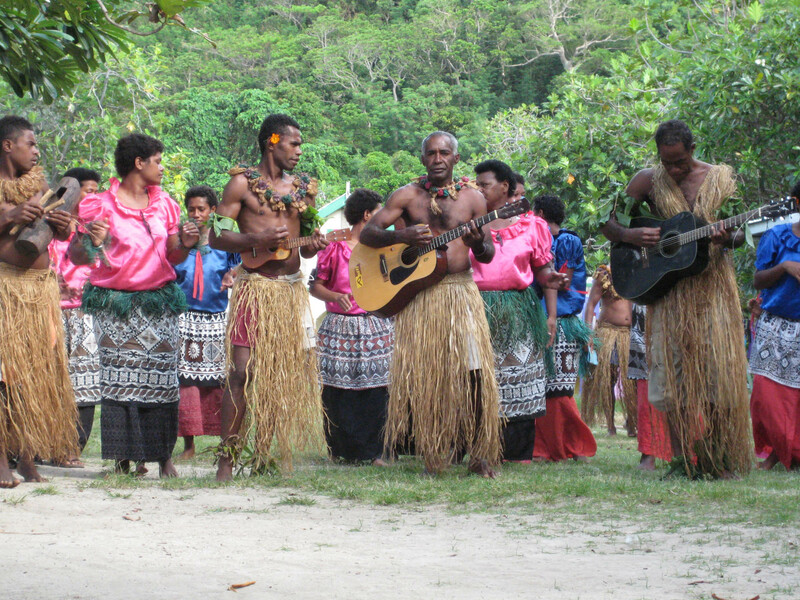 Fire walking is a unique phenomenon that natives of Fiji practice frequently. The celebration is performed throughout the year, mainly for tourists, so you have no excuse to miss it on your travels. Witness the rituals beforehand, where the men sing traditional Fijian mantra in preparation for their walk across the red hot stones, then watch in disbelief as they walk single file across it and emerge unscathed at the other end. Afterward you may have the opportunity to sit down and join them for a tradition Fijian Kava ceremony, so make sure you take your camera to snap some photos of these brave/senseless warriors. While the tradition may have modernised over time to bring people to its shores, fire walking still remains an important symbol of Fijian culture. Located at the centre of the Thurston Botanical Gardens, the Fiji Museum stands as the oldest museum in the South Pacific. Founded in 1904, it boasts the most extensive collection of Fijian artefacts in the world with archaeological material dating back 3,700 years. Whether you’re staying for the week or just passing through Suva, it’s important to get to know the people you are visiting. Take a tour and learn about the indigenous inhabitants and other communities that have settled on the islands in the past. Discuss the arts and crafts with local people and discover a wealth of knowledge and wisdom that you can take back home with you. Afterward take a stroll around the botanical gardens, which boast beautiful tropical landscapes dotted with natural vegetation of all colours. Take photos of the unique Fijian flora, including palms, gingers and water lilies just to name a few. At the end of the day, you’ll know the ins and outs of Fiji and have an envious camera roll to send back to the family. Step foot inside the biggest Hindu temple in the Southern hemisphere. Situated at the base of Main Street away from the Nadi strip, this peaceful place of worship was built by Indian craftsmen brought over to work on British plantations in the 19th Century. The temple was built according to traditional Indian Dravidian architecture and there are few like it outside of India. Fiji shares of lot of history with its Indian population, so it’s important to learn about Indian culture and how it’s intertwined with the natives’. Gaze at its beautifully colourful exterior which looks utterly picturesque against the backdrop of cloudless, blue skies. While tourists are welcome, remember to dress modestly and remove your shoes before entering. See if you can find all of the ancient carvings on the walls and identify the different Indian gods. Expect to see a lot of pilgrims too, particularly during festivals such as Karthingai Puja (held monthly), Panguni Uthiram Thiru-naal (April) and Thai Pusam (January). With traditional music and celebrations, some of them are definitely worth attending if they coincide with your plans.